“Venerable, lust is a limit-maker, hatred is a limit-maker, delusion is a limit-maker. For a monk who has eliminated his defilements, these are abandoned, cut off at the root, made like a tree-trunk, obliterated, incapable of arising in the future. Venerable, of all the limitless mental liberations, the unshakable mental liberation is considered the best; and the unshakable mental liberation is empty of lust, empty of hatred, empty of delusion. “Venerable, lust is something, hatred is something, delusion is something. For a monk who has eliminated his defilements, these are abandoned, cut off at the root, made like a tree-trunk, obliterated, incapable of arising in the future. Venerable, of all the nothingness mental liberations, the unshakable mental liberation is considered the best; and the unshakable mental liberation is empty of lust, empty of hatred, empty of delusion. “Venerable, lust is a subject-maker, hatred is a subject-maker, delusion is a subject-maker. For a monk who has eliminated his defilements, these are abandoned, cut off at the root, made like a tree-trunk, obliterated, incapable of arising in the future. Venerable, of all the subjectless mental liberations, the unshakable mental liberation is considered the best; and the unshakable mental liberation is empty of lust, empty of hatred, empty of delusion. This is what Venerable Sāriputta said. Satisfied, Venerable Mahākoṭṭhita delighted in Venerable Sāriputta’s speech. 1 These are presumably given merely as a few examples rather than a comprehensive list. The function of saññā (recognition) is to identify sensory experiences – for example, when seeing a blue object one identifies it as blue, when seeing a cat one recognizes it as a cat, etc. 2 Sīla, suta, sākacchā, samatha, vipassanā. 3 Saññā-vedayita-nirodha. “The cessation of perception and feeling” is a state of deep concentration attainable only by practitioners who have completely abandoned sensual desire and aversion – that is, they are either non-returners or fully enlightened. 4 Ceto-vimutti. The “liberations” described in this section are states of deep concentration where the mind is temporarily liberated from harmful mental states. This is not to be confused with true liberation, which comes only from the development of insight and is irreversible. 5 Nimitta. 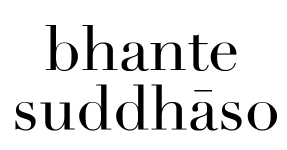 In the Suttas this word means “object of awareness,” “image,” “characteristic,” etc. In this context it appears to refer to a meditation object. In apocryphal literature this term is used to refer to a bright light appearing at the onset of deep concentration, but this usage is not found in the Suttas. 7 “In the four directions” is a way of saying “in all directions.” Thus the meaning here is that one directs loving-friendliness everywhere and in every direction. 8 Muditā. Being happy because others are experiencing good fortune.